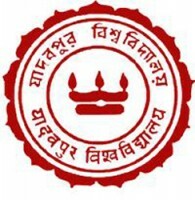 Jadavpur University invites application for the post of 19 Junior Mechanic, Junior Assistant Typist & Technical Assistant. Apply Before 31 October 2016. For Technical Assistant Grade-II : B.Sc./Diploma in Engineering recognized by the State Council of Technical Education. Application Fee : Candidates belonging to General/ OBC have to pay Rs. 250/- & Rs. 125/- for other reserved categories paid by bank draft in favour of Registrar, Jadavpur University payable at Kolkata. How to Apply Jadavpur University Vacancy : Interested candidates may apply in prescribed application form along with self-attested copy of relevant documents & demand draft Send to Registrar, Jadavpur University, Post Box No. 12026, Cossipore Post Office, Kolkata–700002 on or before 31.10.2016.